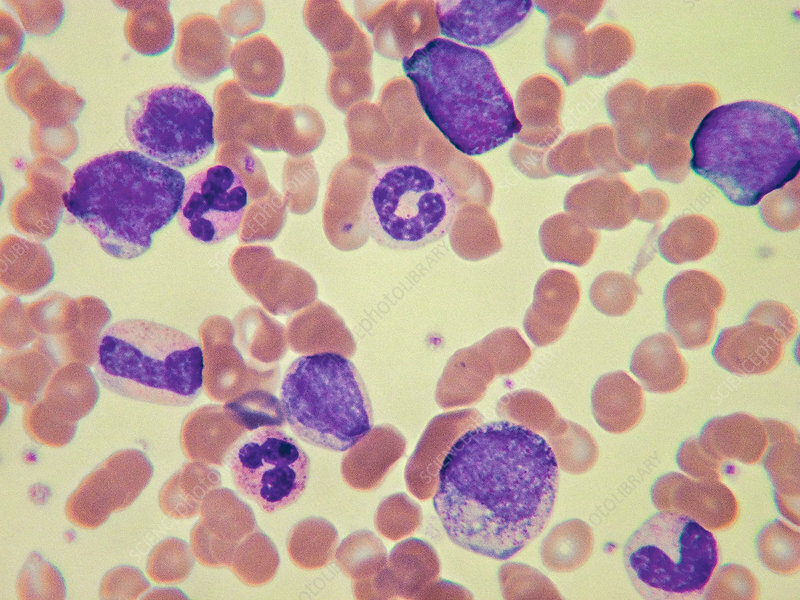 Increased number of lymphocytes showing atypical size and configuration of the nuclei along with a few normal leucocytes. Light micrograph, Wright-Giemsa stain. Magnification: 100x.